We are part of the Institute of Cellular Neurosciences at the University of Bonn (Rheinische Friedrich-Wilhelms-Universität Bonn) Medical School (UKB). Please see group members for email addresses and phone numbers. 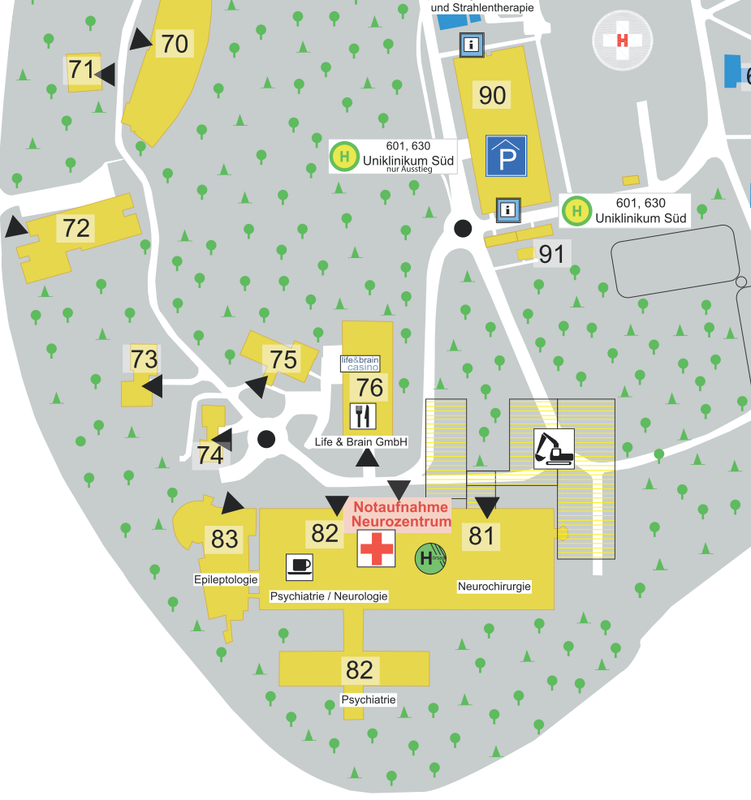 Public transport from central train station: take bus 601 towards ‘Venusberg Uni-Kliniken’ and get off at the final stop (the top bus stop ‘H’ on the map below). Navigate the various construction sites and hopefully find building 81 (neurosurgery, opposite the pink building, Neurochirurgie). Call us from the reception and we will pick you up.